Burson Cohn & Wolfe (BCW) has appointed its market leaders for the Asia Pacific region. All market leaders will report to Matt Stafford, who was recently named president for APAC. 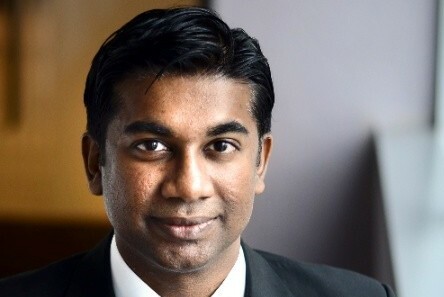 Leading BCW Singapore is Shawn Balakrishnan (pictured), who takes on the role as market leader, Singapore, BCW. Balakrishnan was previously managing director, Singapore and Southeast Asia, Cohn & Wolfe. In Indonesia, Nia Pratiwi has been named leader for BCW Indonesia. She previously led the market for Burson-Marsteller. Meanwhile in Hong Kong, George Godsal becomes market leader, Hong Kong, BCW. Godsal previously led the market for Burson-Marsteller. In Beijing, Hong Qu, previous lead for Burson-Marsteller, will helm BCW and Tiffany Bai takes on the lead role for BCW Shanghai. Bai was previously managing director, China, Cohn & Wolfe. The statement added that all market leaders will report to Stafford and there are no leadership changes in other Asia Pacific markets at this time. Stafford explained that teams have already begun to move into the same office and resources are being combined to provide greater value to clients. “The successful track records and proven expertise of BCW’s leadership team in the Asia Pacific region will propel us towards our goal of becoming the preeminent integrated communications agency in the world,” said Donna Imperato, Global CEO, BCW. “The initial response to the merger from clients and prospects in Asia has been so positive that we are currently experiencing a spike in new business. It really is the best of both worlds,” Stafford added. In February this year, WPP merged Burson-Marsteller and Cohn & Wolfe to create Burson Cohn & Wolfe. This is to combine Cohn & Wolfe’s expertise in digitally-driven, creative content and integrated communications – across the consumer, healthcare and technology sectors – with Burson-Marsteller’s strength in public affairs, corporate and crisis management, technology and research. The move impacted more than 4,000 employees, across 42 countries. The new agency will be led by CEO Donna Imperato, former CEO of Cohn & Wolfe. Don Baer, Burson-Marsteller’s Worldwide chair and CEO, will become chairman and focus on delivering high-level counsel for Burson Cohn & Wolfe clients. Don't skip this ad, says the protagonist. You might just learn something. .. The latest gimmick from MX has 'Sir Chicken' sliding around a playground in an attempt to revamp the traditional dish with a young..